At Lucas Estate agents, we offer a straight forward find a tenant service. By cutting out the middle man, landlords will benefit by saving the management fee that other agents charge. 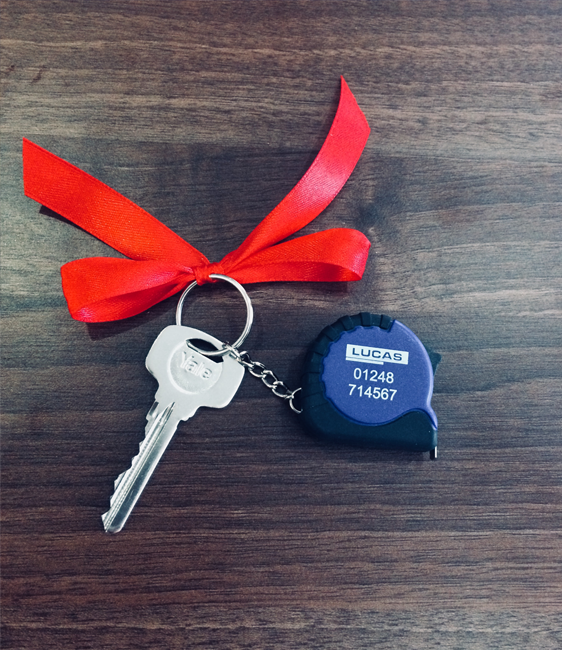 We are licensed with Rent Smart Wales, and require that all landlords who instruct us to let their property are also licensed with Rent Smart Wales. We arrange credit checks and referencing on potential tenants, and we also receive the deposit. This is protected by the Deposit Protection Scheme and kept for the duration of the tenancy. Tenants and landlords will then manage the tenancy relationship between them, for the duration of the term. Once we have found you a tenant and arrange the tenancy agreement, then it's over to you! Meaning you get to keep the full rent every month, cutting out the middle man and their monthly fees. If your tenant has any queries or issues, then they contact you directly giving you both peace of mind. Having found a suitable house or flat to rent, what happens next? You should begin by putting down a Reservation Fee to state your intention to rent the property and get the property off the market. You will then need to complete an application form for the property, following which the letting agent will begin the administrative process of requesting references and carrying out credit checks. The final event in your securing the property is the deposit. This is usually one months' rent, and is held for the duration of the tenancy in a secure account protected by the Deposit Protection Scheme. The deposit is a safety net for the landlord to guard against the cost of replacing or repairing property damaged by the tenant. The tenancy agreement is a contract between you and the landlord. It specifies certain rights to both you and the landlord, such as your right to live in the home for the agreed term and your landlord's right to receive rent for letting the property. Lucas Estate Agents will organise the tenancy agreement. The application fee per tenant is £125. This includes referencing and credit checks where applicable. This fee also reserves the property, and it is removed from the market while under application. You will need to arrange this yourself for all your personal belongings inside the property. You can enquire by calling the local council and providing them with the address to get the amount payable. The tenant is often responsible for paying this. You will be expected to take on most of these bills from the day you move in. If the property is in a block of flats or is a serviced apartment, there may be a service charge to pay, so clarify with your agent or landlord whether it is included in the rent or is an additional charge. Budget for the cost of hiring a removal company.